A new alternative for Moto X users who are looking for a quick way to unlock their device has been unveiled by VivaInk, part of Google's ATAP lab. The unlocking method comes in the form of a temporary tattoo. 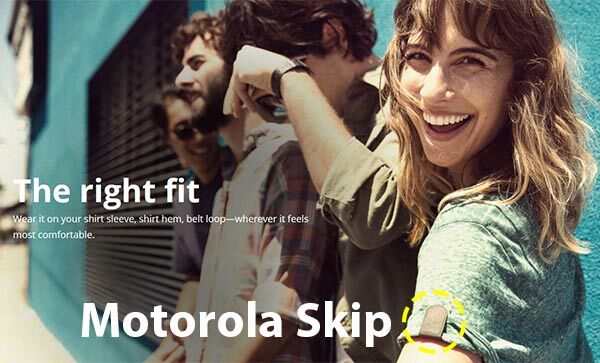 With functions similar to Motorola's official accessory Skip, a small clip which unlocks the Moto X with a single tap, VivaInk's Digital Tattoo is being touted as "the simplest way to unlock your phone." 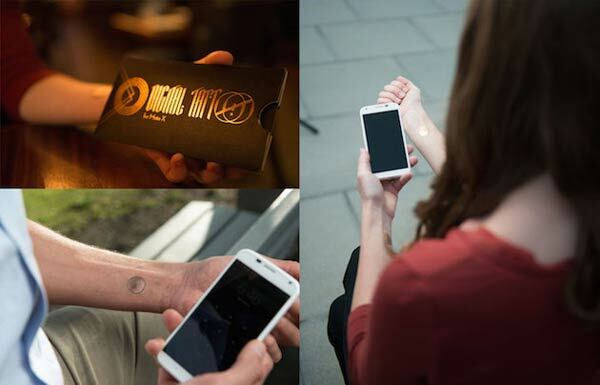 These temporary tattoos have a self-adhesive circular design and provide unlock authentication as they sync to your Moto X's Near Field Communication (NFC) chip. The tattoos are said to have a life span of around five days before they need to be replaced. They are waterproof, which means that they can withstand showers and exercise. Coming in packs of 10, the $9.99 pack of tattoos will give users up to 50 days of easy unlocking. (That's the same price as a single Skip clip though) The company also said that it is working on extending its Digital Tattoo range to work with other handsets and is also thinking about creating different designs. Gadgets such as these indicate that the tech industry is focusing on developing easier alternatives to password and PIN systems and that we can expect more innovative security options in the near future. The ability to create thin, flexible electronics that are inexpensive and disposable could lead to many further applications besides smartphone authentication. Have readers got any ideas on different ways this digital tattoo technology could be utilised? Let us know in the comments below. So rather than quickly entering a pin or pattern (or even face detection) people are paying money to wave their phones over their arms or sleves to unlock? That sounds like its actually extra effort not less! Timing's strange - I was talking to someone this morning about the various methods that exist to lock/unlock smartphone. Discussion was interesting enough to me that I spent a minute or two raising a new thread on the Hexus “Smartphone” forum. Coincidence is a strange thing. Alternative: embed chip into palm (biocompatible RFID chips are already commoditised), unlick you phone simply by holding it. Ideally you;d want a semi-active NFC chip to perform handshaking to prevent trivial cloning, but anyone going to that much effort would be able to bypass other unlocking methods (e.g. pin, pattern) by simply watching you unlock your phone anyway. Hows about remembering a 4 digit pin code? It's free and doesn't require surgery or a daily fee.